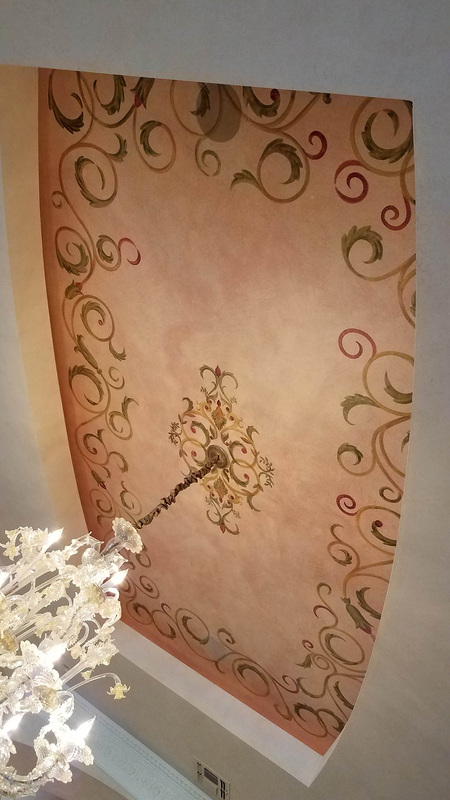 Don’t ignore your ceilings. 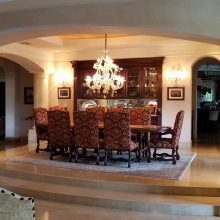 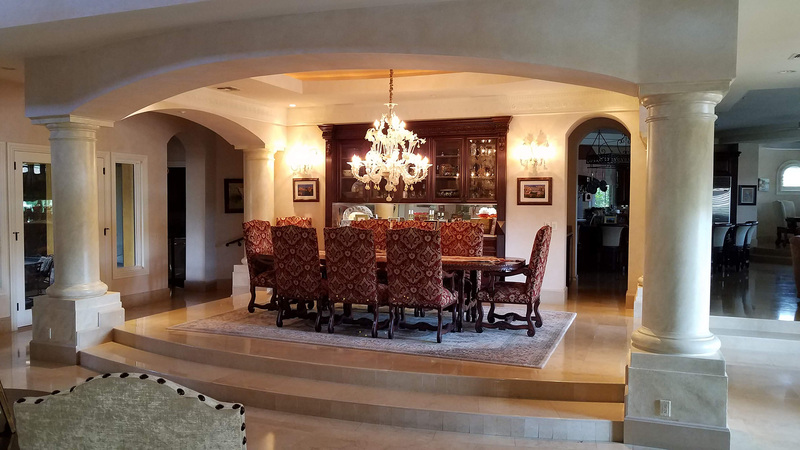 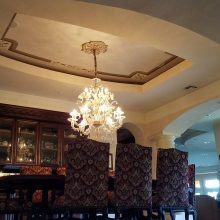 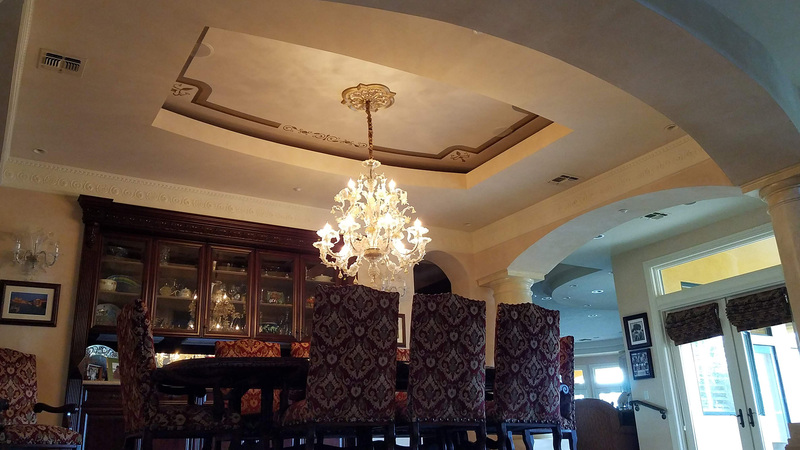 This amazing faux finished formal dining room in Lake Las Vegas had a very ornate design and color scheme. 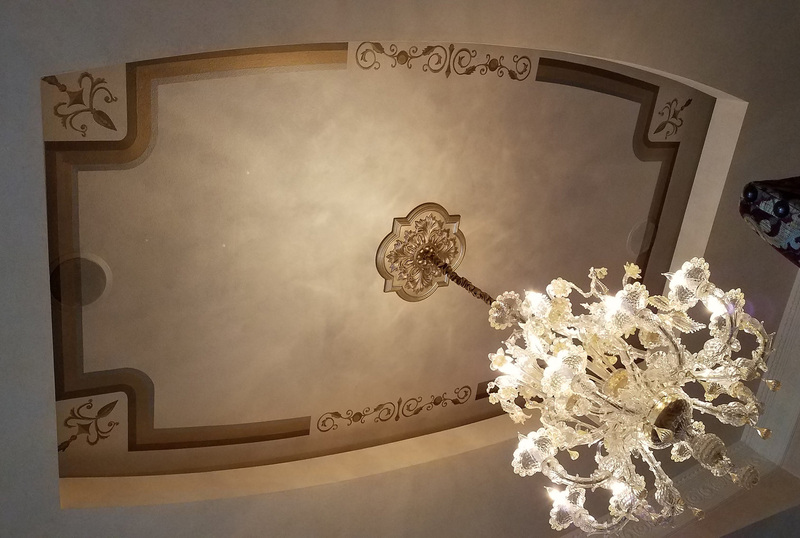 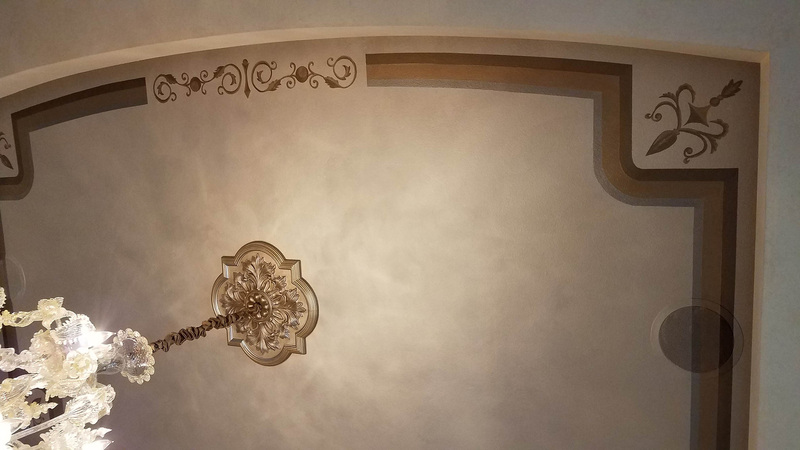 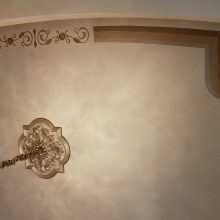 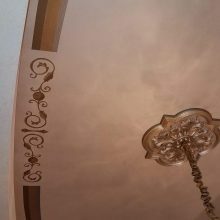 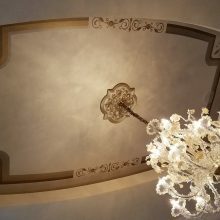 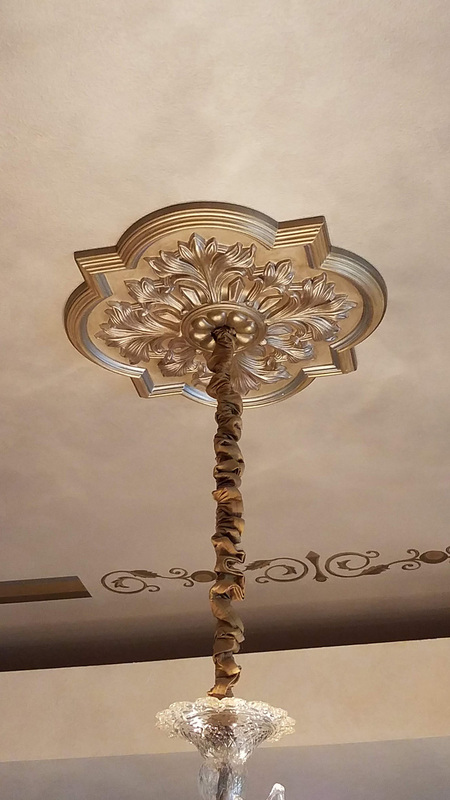 To update the space and simplify the look, I used a variety of Modern Masters metallic paints, custom made stencils and added a custom ceiling medallion. 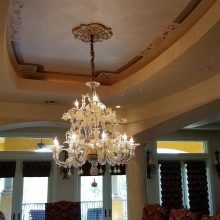 The new look is sophisticated and elegant. 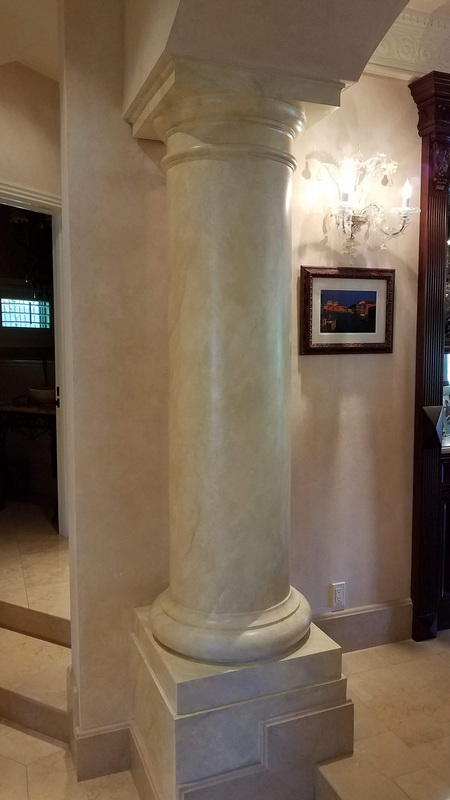 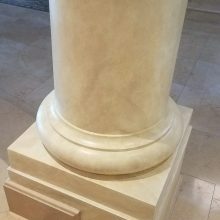 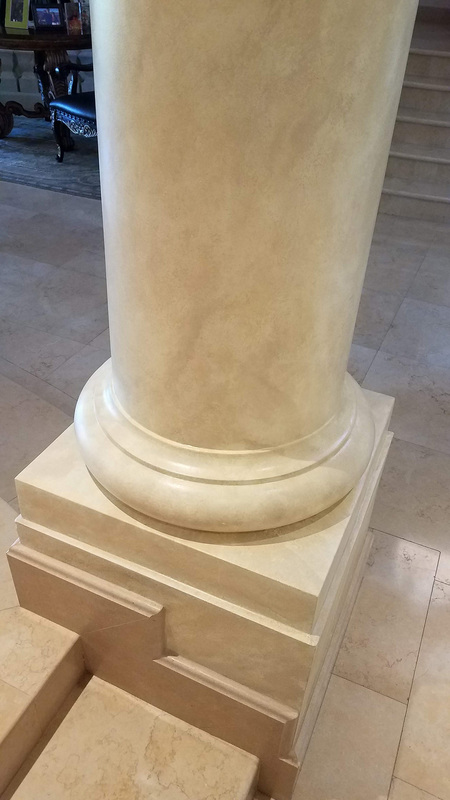 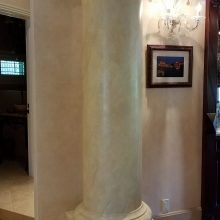 This faux painting client had faux painting done 15 years ago. 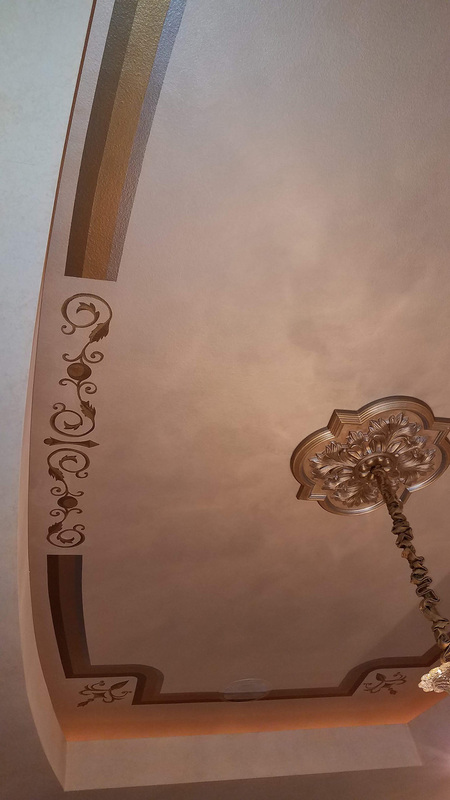 Since that time, colors and style have changed. 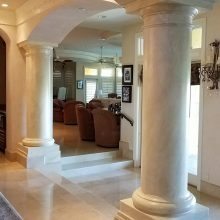 The idea was to give it more of a neutral color palette that tied in with the rest of the home. 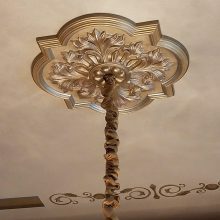 The home already has many faux finishes, custom painting and ornate styles. 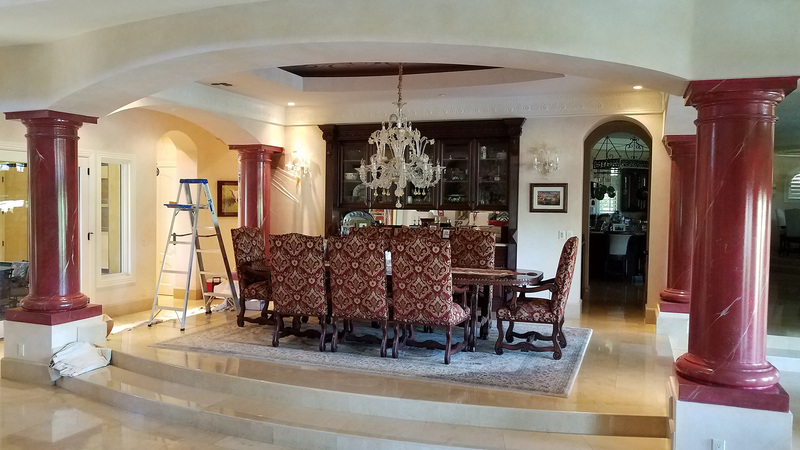 Our work throughout this home ties in with the renovations that they are already doing. 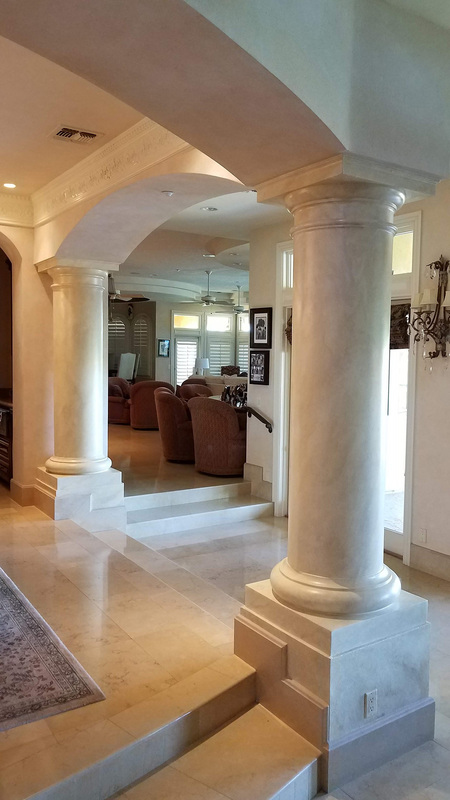 We incorporated contemporary finishes throughout, to give the house a more streamlined look for 2019. 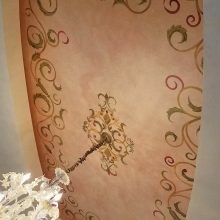 Stencils where hand designed and replicated designs from other parts of the home, keeping cohesiveness to the home. 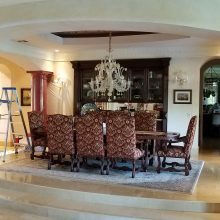 In this formal dining room, we removed the maroon colors to make it a more harmonious color palette. 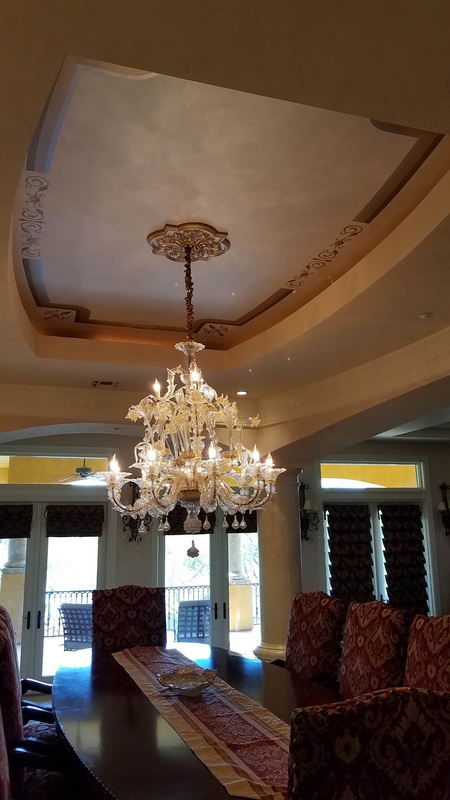 Took extra caution of the Murano glass chandeliers.